Bill Kenwright presents the latest instalment in the hugely successful Classic Thriller Theatre Company. 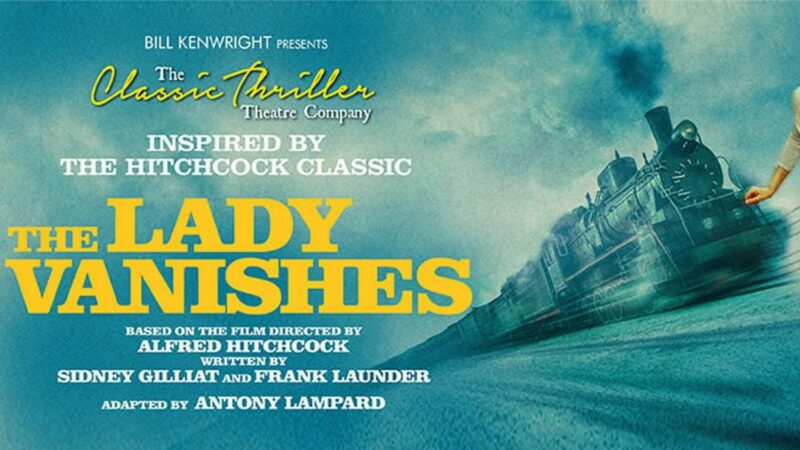 ‘Master of Suspense’ Alfred Hitchcock’s The Lady Vanishes will open at Theatre Royal Windsor on 9 January 2019 and will star husband and wife Juliet Mills and Maxwell Caulfield. This never-before-seen adaption of the Hitchcock classic will then visit Southend, Bath, Clwyd, Guildford, Edinburgh, New Brighton, Blackpool, Richmond, Malvern, Bromley, Chesterfield, Stoke, Inverness and Barnstaple. The production is directed by Roy Marsden who is best known as an actor, particularly in his role as Commander Adam Dalgliesh in ITV’s P.D. James series, which he played for 15 years. But he has also been directing plays since he was 15 years old and had successful West End runs with Noel Coward’s Volcano and Agatha Christie’s (under the pen name Mary Westmacott) A Daughter’s a Daughter.